Add fun to your kid's feeding time by using this bright bottle cover. 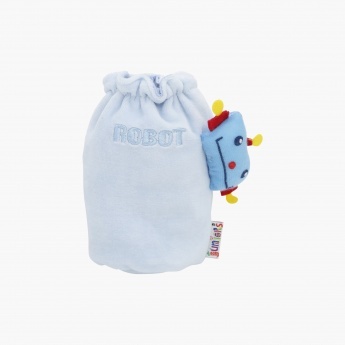 Sporting a plush robot figure on one side, this bottle cover looks appealing. The elasticised neck holds bottle properly and avoids slipping during feeding.